Bluegrass Sports Nation, along with Wolfe County Farm Bureau & Agent Susan Cable are proud to bring you all the great action from Wolfe County High School. For Photos of the first 2 days of action, CLICK HERE. 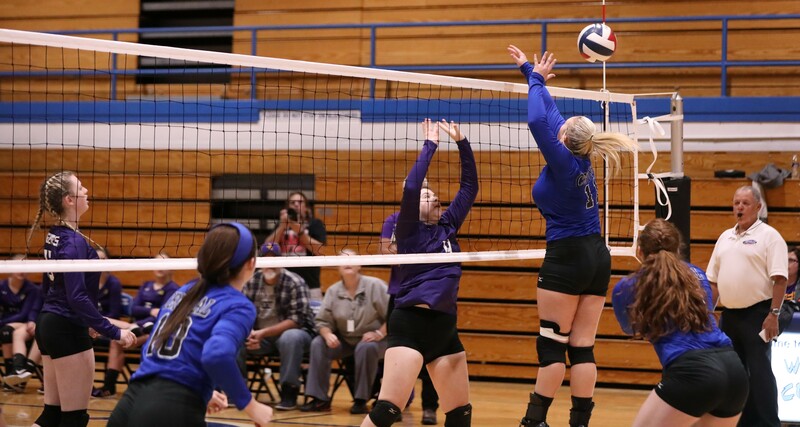 Girls 14th Region Volley Ball Regional Tournament: Letcher Central Defeats Jackson City, and Leslie County defeats Lee County. Night #2 of the Girls 14th regional volley ball tournament continued tonight in Campton, KY at the Wolfe County High School athletic gym. Tonight’s matchup featured two games taking place. Game #1 featured the four- time defending 14th Regional Champs Letcher County Central Lady Cougars taking on the Jackson Independent Lady Tigers. Game Number two featured the Leslie County Lady Eagles taking on the Lee County Bobcats. Letcher entered tonight’s matchup with a 20 win and nine loss season and winners of the 53rd district champion. Jackson City entered the matchup being the runner up of the 55th district tournament having a 17 win and 16 loss season. Leslie County is the runner up of the 54th district tournament having a record of 20 wins and 12 losses. Lee County is the champion of the 56th district tournament and had an 18 wins and 11 loss record. Game #1 Letcher County Central vs Jackson Independent. 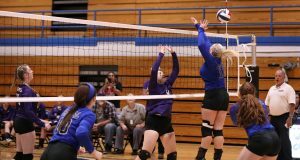 Letcher County Central is a Volleyball giant in the 14th Region. Letcher County Central is the defending four- time regional champion. Letcher Central has great size and are well coached. The lady Cougars take care of business and win the series with a sweep of the lady Tigers winning in three sets. The Letcher County Lady Cougars win the first set 25-6. The second set was won by Letcher County 25-11. The third set was a little more competitive and Jackson City lead early in the matchup with an early 3-2 record. Letcher County size and athleticism started to take control of the game and regained the lead with the score 11- 5. Letcher County Central goes on to defeat the Lady Tigers with the score Letcher County Central 25- Jackson Independent 13. Jackson Independent season is now over and Letcher County Central advances to the semi- finals of the region. The matchup between the Leslie County Lady Eagles and the Lee County Lady Bobcats was a more balanced matchup. The sets saw great volley action with each team hitting the ball back and forth and players diving on the floor, trying to prevent the other teams from scoring. As entertaining as the matchup was Leslie County goes on to defeat Lee County in three sets. Leslie County wins the first set in a close battle only defeating Lee County by four points. Leslie County won the set with the score 25- 21. The second set provided another great battle, but as in the first set Leslie County would prevail with the score Leslie County 25- Lee County 15. The third set Leslie would also survive a scrappy Bobcat team defeating the Lady Bobcats 25- 18. Lee County seasons is now over and Leslie County advanced to the semi- finals of the 14th Region to take on the Letcher County Central Lady Cougars on Wednesday October, 25, 2017. 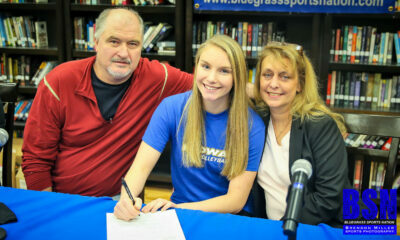 Bluegrass Sports Nation continued a tradition started during the 14th Regional Basketball Tournament. Bluegrass Sports Nation interviewed each coach before the matchup’s asking about how their season has gone, who were some of the key players, and what would be a key to a win in the matchup. After the matchups were offer we interviewed the coach again and a couple of the Seniors. The kids were all nervous but seemed to enjoy the exposure and interviews. Check the videos out on our facebook site, and like the page.